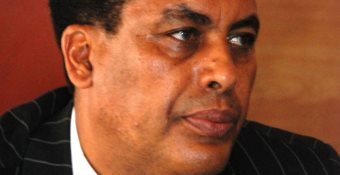 AFRICANGLOBE – An Ethiopian Foreign Ministry spokesman has lashed out at longstanding rival Eritrea, accusing the latter of destabilizing the East Africa region, while also blasting Egypt for the latter’s “malicious” media campaign against Ethiopia’s multibillion-dollar hydroelectric dam project. “Eritrea’s involvement in regional conflicts has been the case for long now,” Ambassador Dina Mufti told foreign journalists at a weekly press briefing on Thursday. According to Mufti, Eritrea has played a role in the ongoing conflict in South Sudan. “We have circumstantial evidence of Eritrea’s involvement [in the South Sudan crisis],” the spokesman said. Tensions between Addis Ababa and Asmara have persisted since a bloody two-year border war – in which tens of thousands were killed – ended in 2000. As for the row with Egypt over the Nile dam, Mufti said Cairo had launched a media campaign aimed at turning international opinion against the dam project. Egypt, he added, had walked out of a tripartite committee with Ethiopia and Sudan that had been formed to assess the dam’s potential impact. Subsequent efforts to bring Egypt back to the tripartite negotiations, said Mufti, had failed to bear fruit.